(and much thanks to Toby Salk for this great picture!!). This entry was posted in Mah Jongg and Me and tagged Halloween, mah jongg, mahjong, Toby Salk on October 31, 2018 by Mah Jongg and Me. I opened up my email yesterday morning and saw this sweet photo from my dear friend, the wonderful Toby Salk. And then I read Toby’s words below the photo…lesson learned – you never know unless you ask! Me: Aunt Rose, Are you still playing Mah Jongg? Aunt Rose: No, just Scrabble. Me: Can I have your set? Aunt Rose: Oh, you don’t want it. It’s really old. Yes, Toby is definitely lucky to have this beautiful OLD set. How many of you have similar stories? Let me know and I will post those wonderful stories (and photos!) in a future blog. 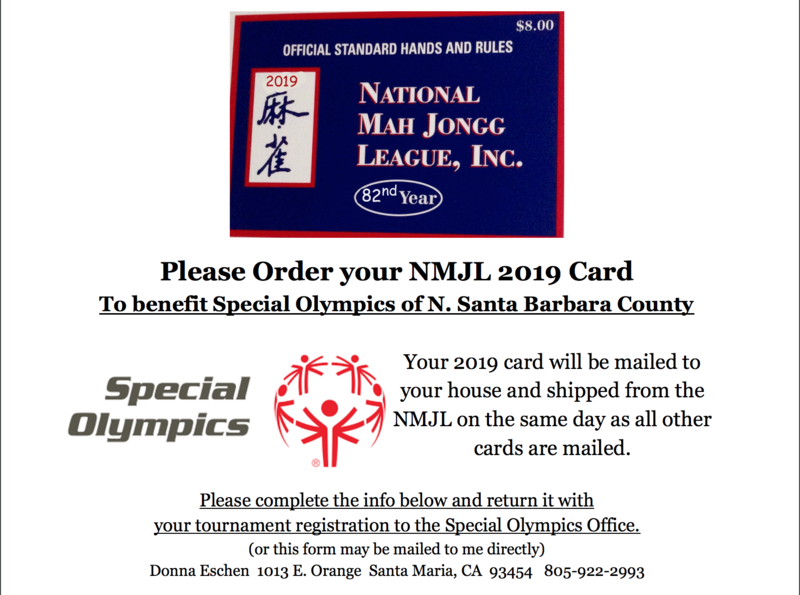 This entry was posted in Mah Jongg and Me and tagged mah jongg, mahjong, Royal, Scrabble, Toby Salk on October 20, 2018 by Mah Jongg and Me. I’M ALREADY THINKING ABOUT THE 2019 CARD! 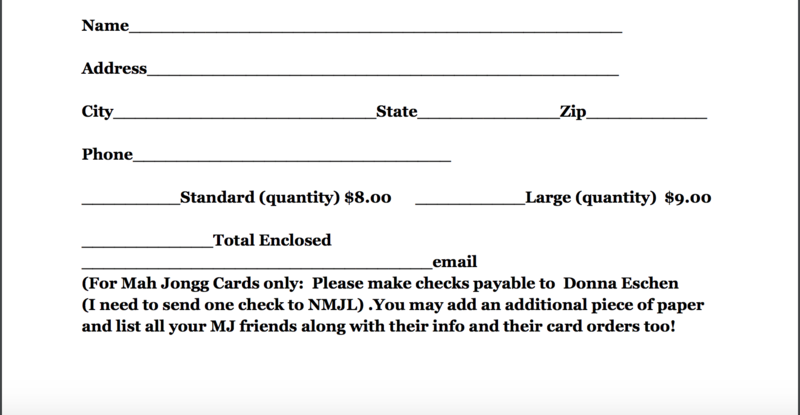 I know that it is early to be thinking about the 2019 card but the wonderful Donna Eschen just sent me an email that I really need to share with you. Philanthropy is what our game is all about and Donna really is all about helping others less fortunate! This entry was posted in Mah Jongg and Me on October 15, 2018 by Mah Jongg and Me. 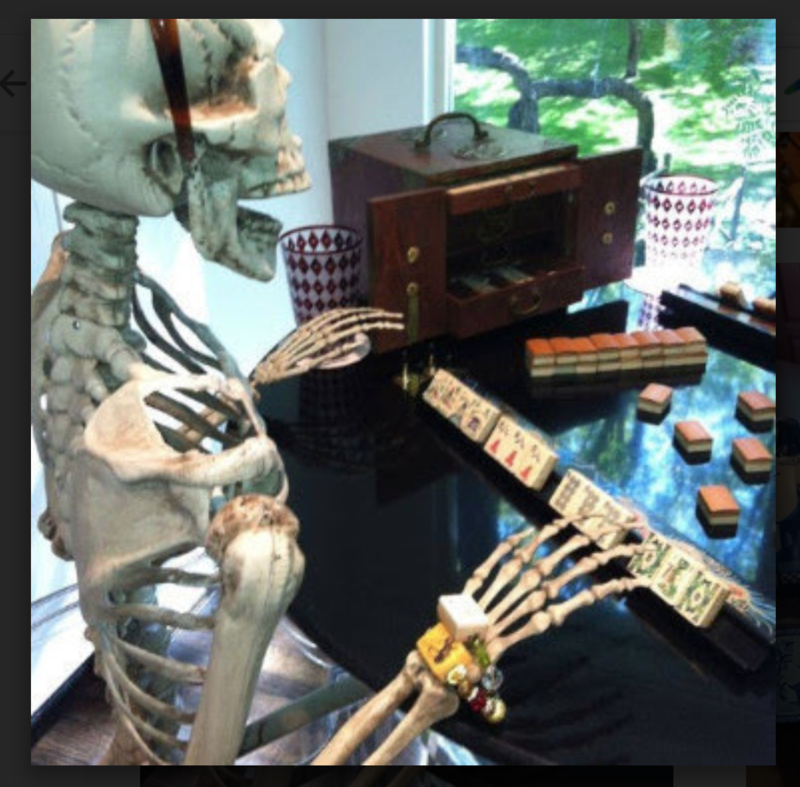 Our dear friend, Toby Salk, reminded me that even the most famous people find time to play Mah Jongg! Scroll down to see Julia Roberts’ quote about our favorite game. 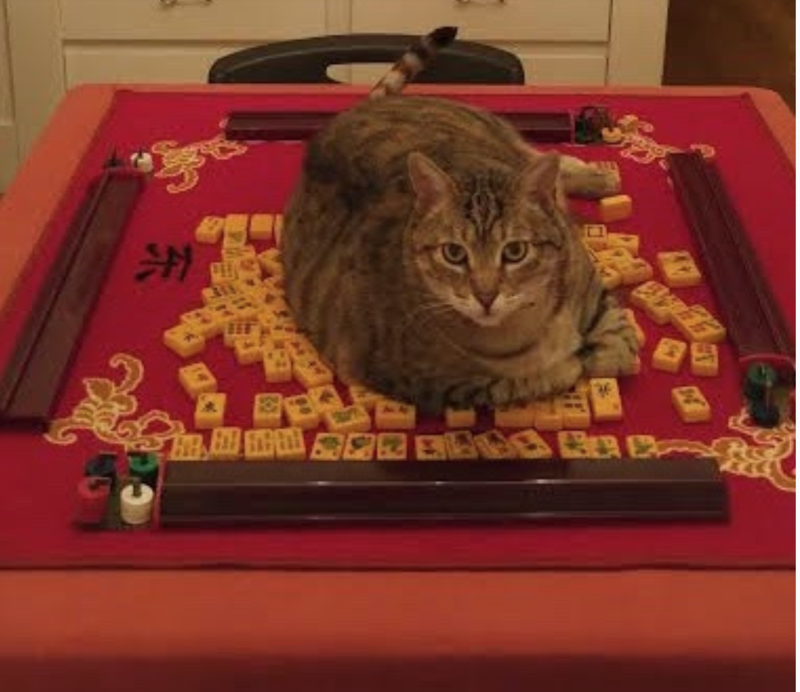 BTW, my “sister” Johni Levene (the founder of Mah Jongg That’s It on Facebook) was Julia’s teacher so we know for sure that Julia is a top player! This entry was posted in Mah Jongg and Me and tagged Johni Levene, Julia Roberts, mah jongg, mahjong, People Magazine, Toby Salk on October 12, 2018 by Mah Jongg and Me. 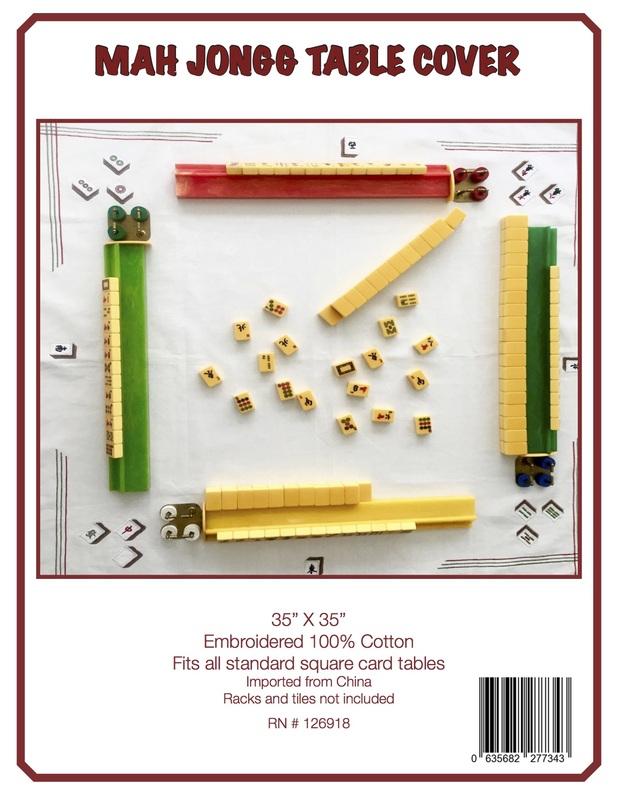 Leave it to the wonderful Grand Master of American-Style Mah Jongg, the beloved Gladys Grad, to come up with this gorgeous puzzle. 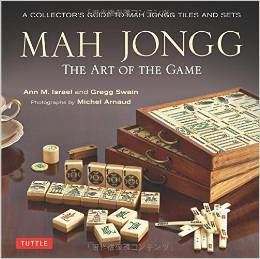 The holidays are really not that far off and this could be the perfect gift for your Mah Jongg-loving friends…or for yourself! 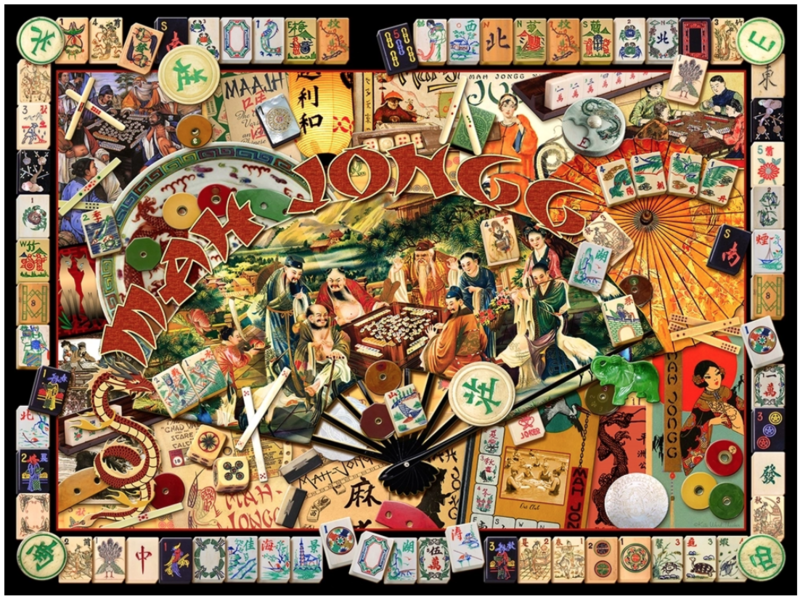 Click here to order this 1000 piece Mah Jongg Masters Collage Jigsaw Puzzle (completed puzzle measures 20″ x 27″) at a special discounted price of $19.99 with free shipping (normally $24.95). This entry was posted in Mah Jongg and Me and tagged free shipping, Gladys Grad, Grand Master of American-Style Mah Jongg, mah jongg, mahjong, masters collage jigsaw puzzle on October 8, 2018 by Mah Jongg and Me. Please answer this question so it can be settled with my Mah Jongg group. When does your chance to call for a discarded tile end? I think we have some misinformation afloat. A. You can claim a discard before the next player picks and RACKS their next tile. If they click the tile ON their rack, it does NOT count. If they hold it (even for a long time), it does NOT count. Putting their picked tile on the table in FRONT of their rack does NOT count. And in order to claim the tile that you have already RACKED and that you don’t want to lose to someone who is claiming the last discard….make sure you RACK IT FULLY ON THE SLANTED PORTION OF YOUR RACK. Much thanks to the wonderful Gladys Grad! 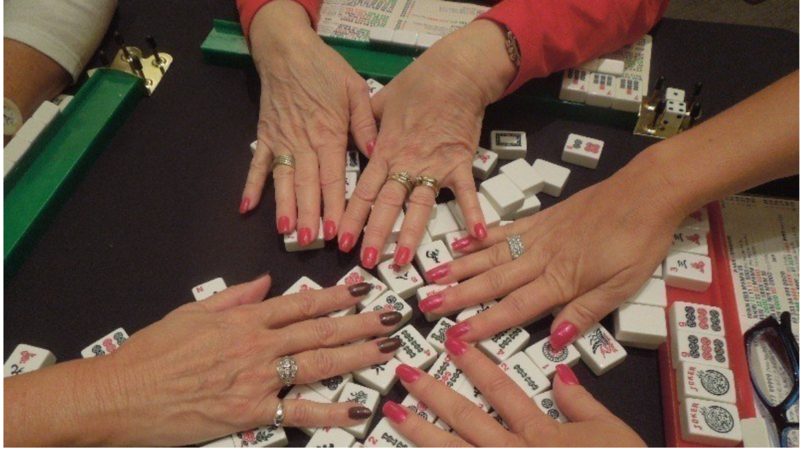 This entry was posted in Mah Jongg and Me and tagged Gladys Grad, Grand Master of American-Style Mah Jongg, mah jongg, mahjong, rack, racking a tile on October 1, 2018 by Mah Jongg and Me.